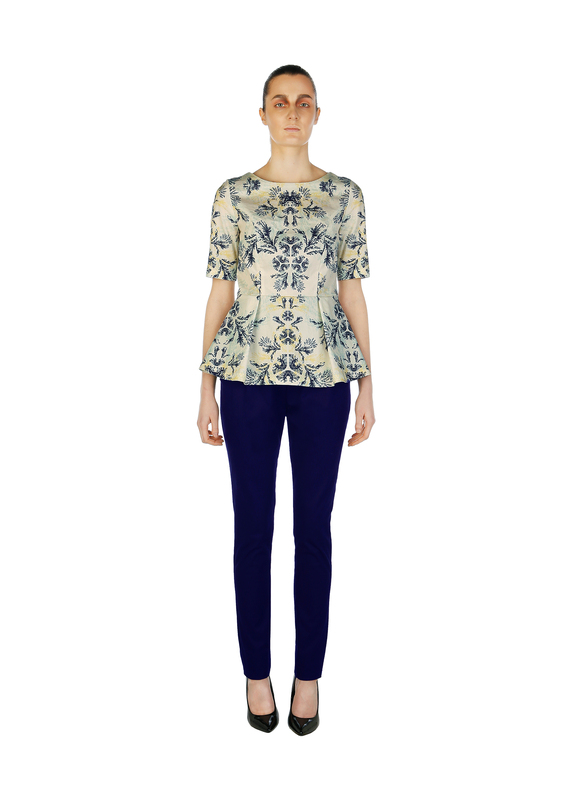 Floral print shirt in organic cotton twill with pleated peplum. 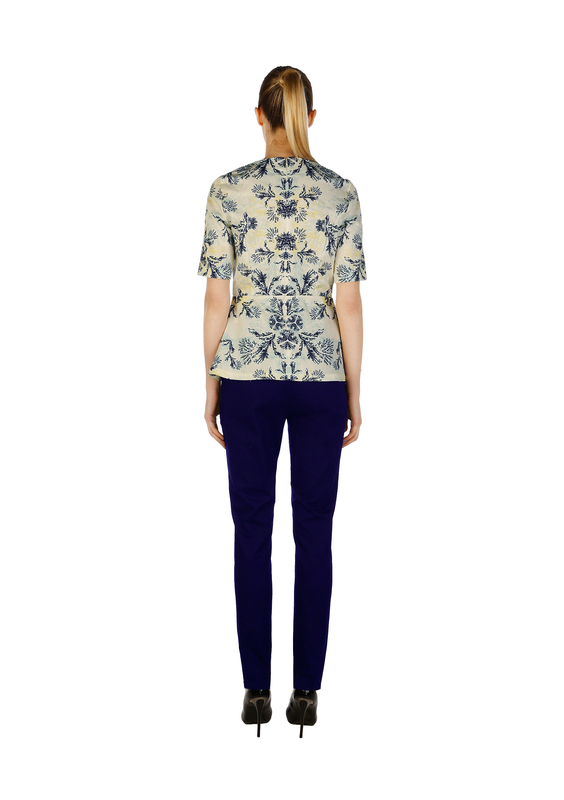 The digital print is inspired by a symbiosis of human anatomy and floral elements in medieval blue, alomond oil and light silver-green. Reactive dye based on GOTS. 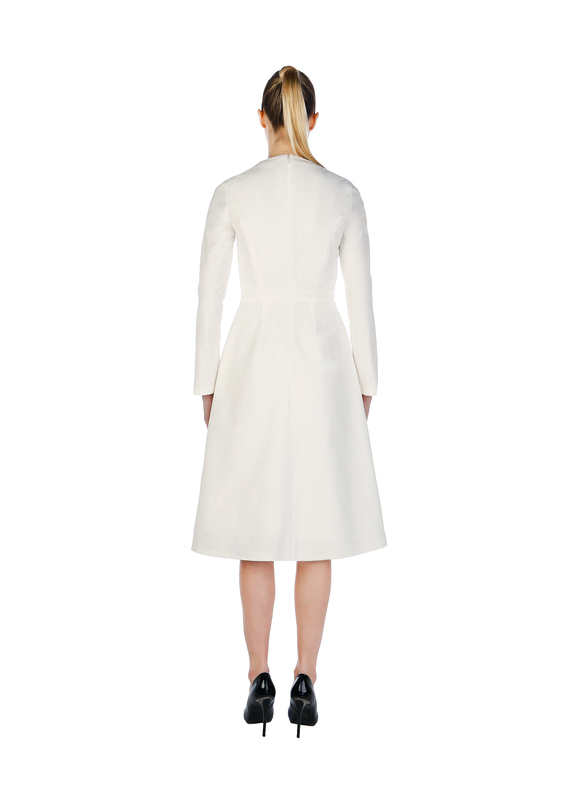 Ecru flanell dress in organic cotton with long sleeves in an A-silhouette combines feminine and modern style. 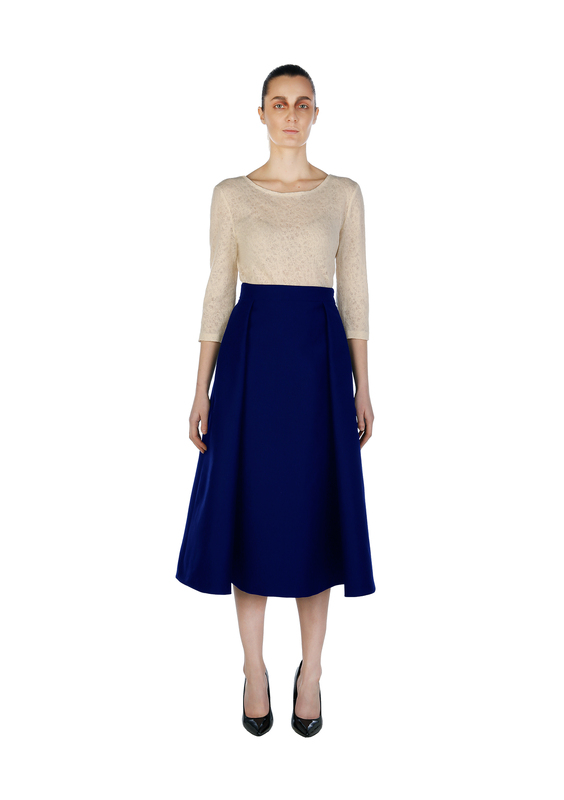 The napped fabric gives the midi dress a soft haptic and comfortable wearing. 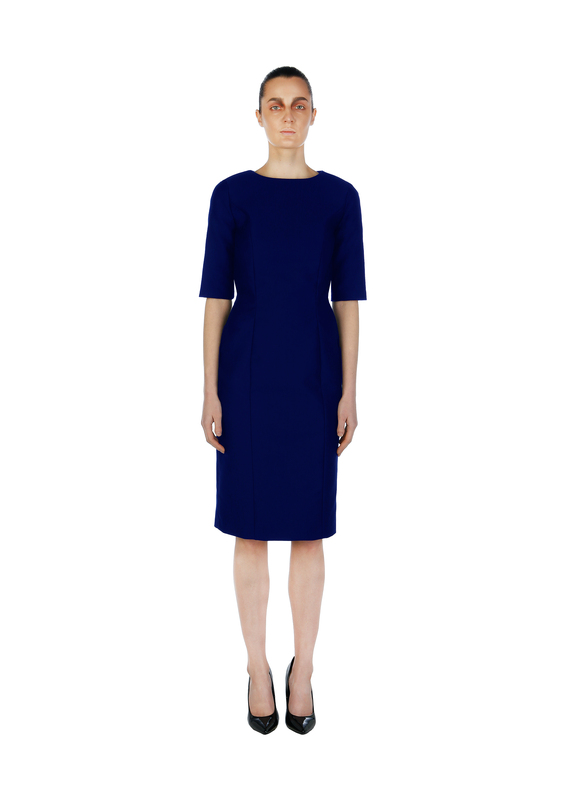 Midnight etui dress in organic cotton moleskin. 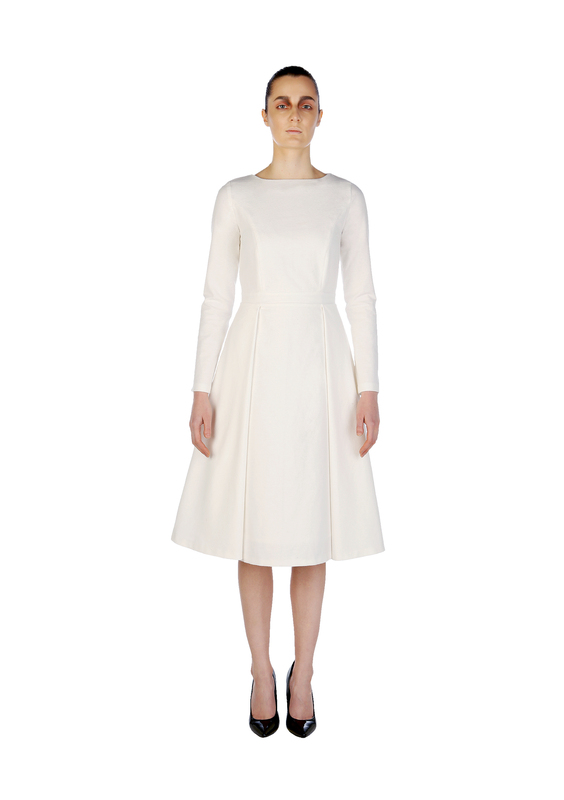 White shirt with cap sleeves in organic cotton and draped darts. 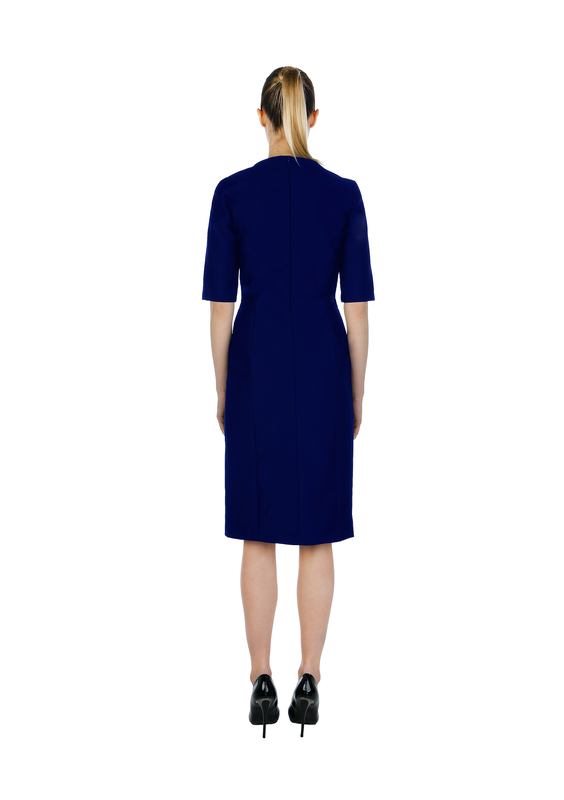 The tencel dress based on a zero waste pattern. An asymmetrical line in long sleeve and off-shoulder style with pleated detail gives the micro modal dress an modern and clean touch. Blouse I White blouse in organic cotton with draped collar and slit sleeves. 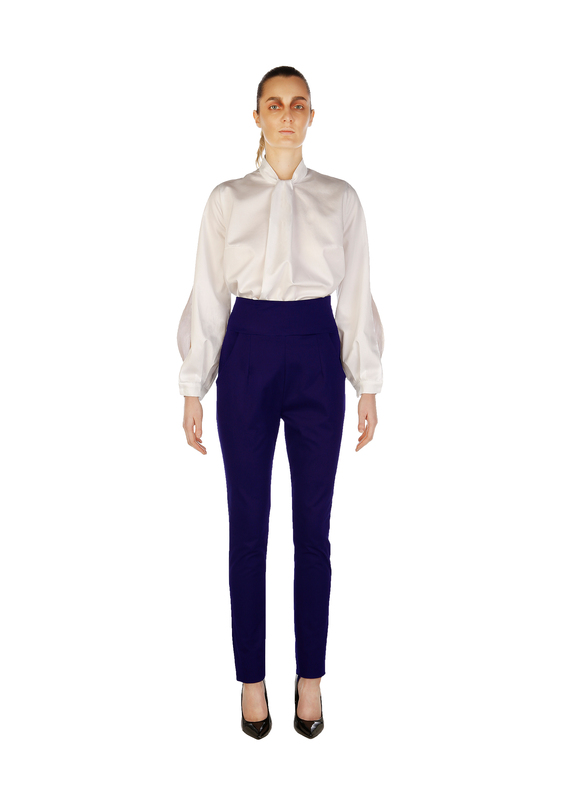 Trousers I Midnight high waist trousers with site zipper and pipe bags in organic cotton twill. 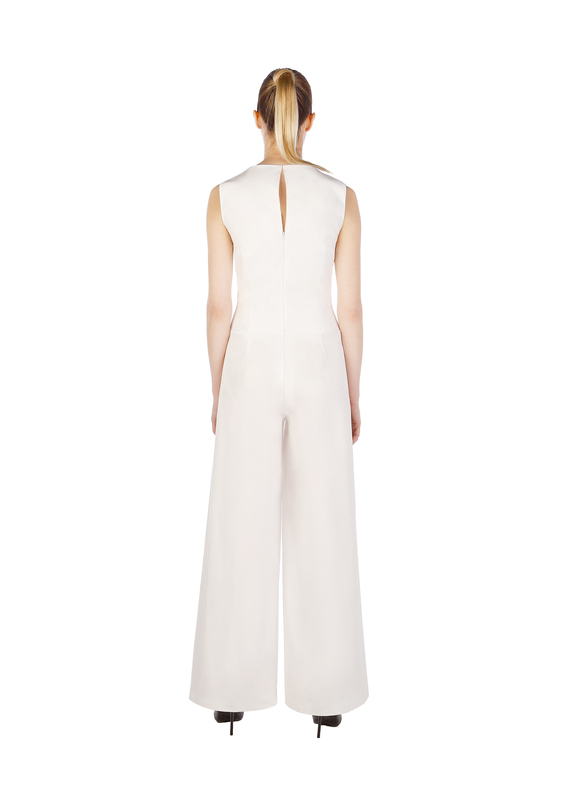 White overall in organic cotton twill with soft viscose lining. 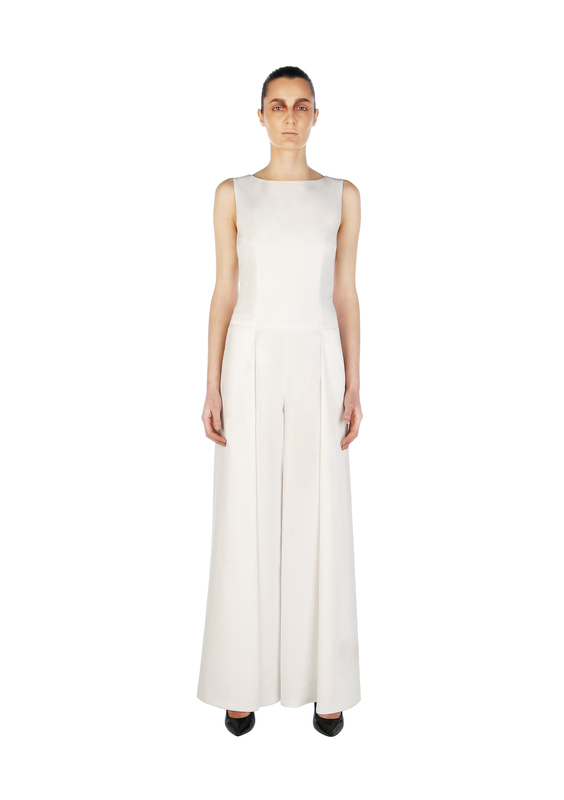 A modern silhouette with wide trousers leg and neck slit. 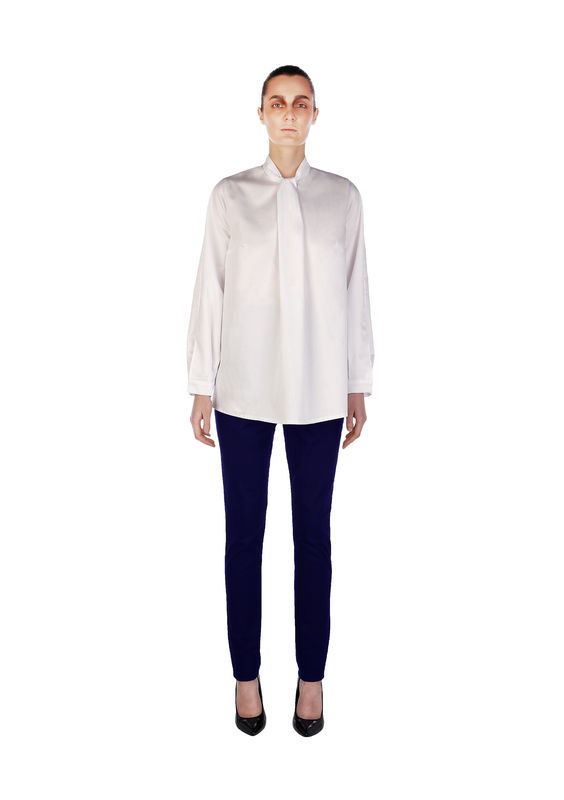 White blouse with slit sleeves in kbA-Cotton and push buttons. 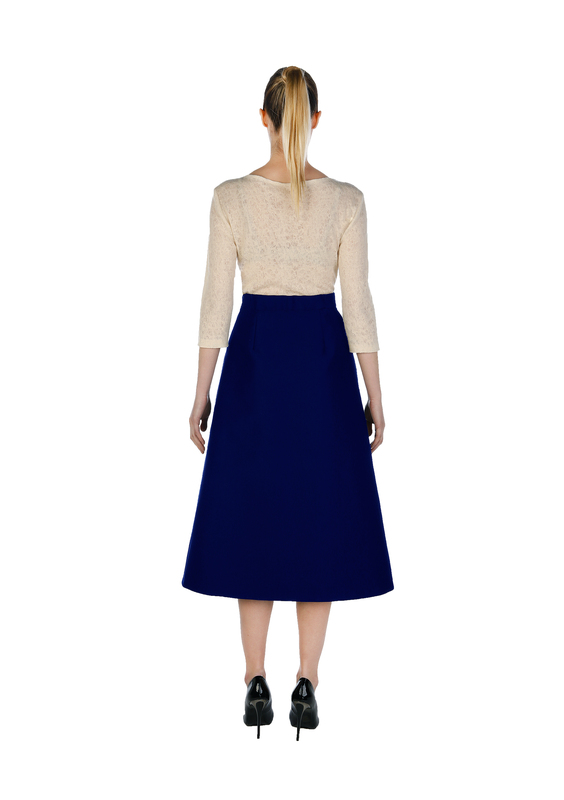 Collar with minimal draped pleat. Invisible zipper in center back.